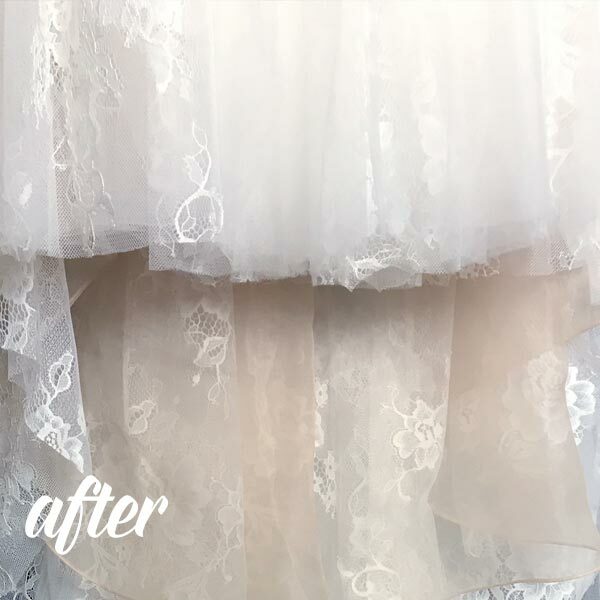 A customer from our fantastic local boutique Jin Wang, had a Pronovias wedding dress cleaning red wine stain rescue project for Elegance Preserved! The event must have been a blast based on the cleaning required after! 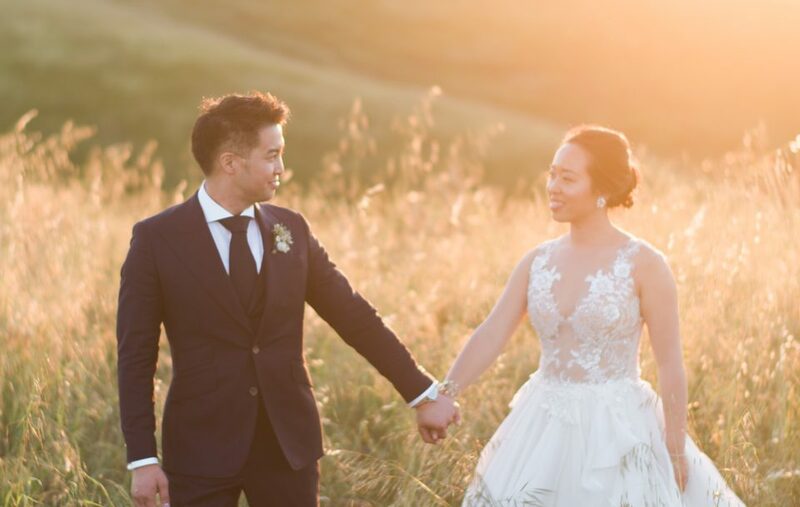 This Pronovias dress had red wine staining on the front and sides of the wedding dress. 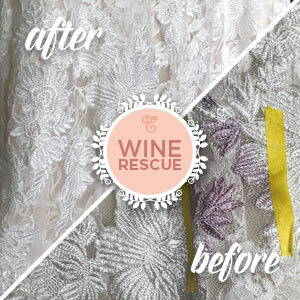 We went to work right away with our red wine rescue program. 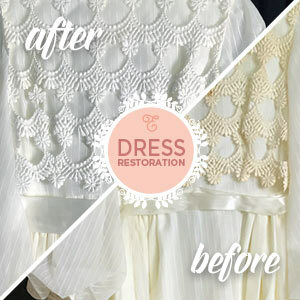 We performed tests on the pronovias wedding dress red wine stain rescue project prior to beginning our cleaning. It was determined that hand work with a light wet cleaning technique was the best approach. 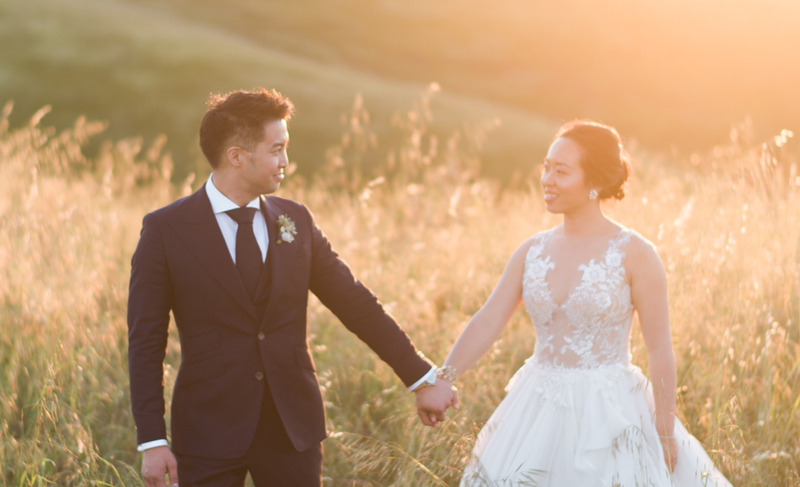 We were fortunate that the fabric reacted well and achieved a good outcome. The hem also presented its own challenges, but the hand work was successful in that area of the dress as well. 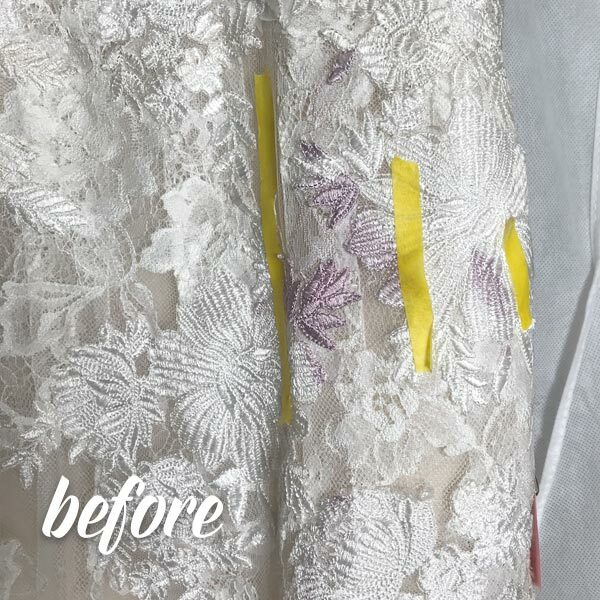 When we see a wedding dress red wine stain challenge, we often recommend a testing procedure and separate testing quote. Our testing quote procedure is a set dollar amount for the test. The customer then may review the result before proceeding. The customer may then make a decision whether they would like to proceed with the full cleaning quote. The testing fee is applied to the balance of the final cleaning quote. 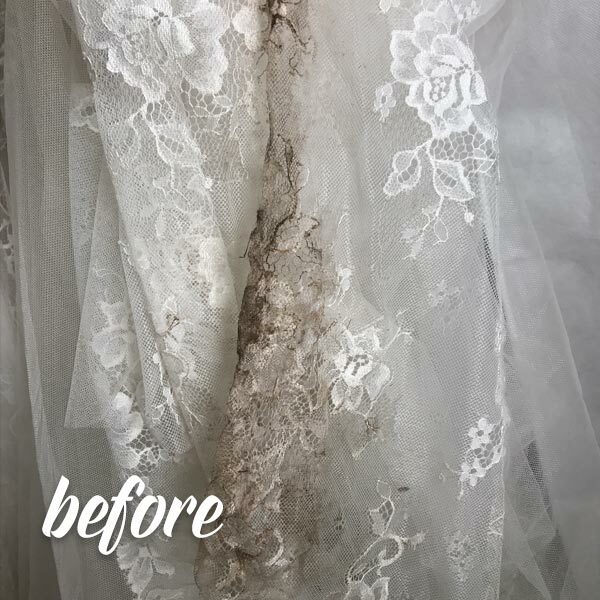 We do not typically create testing quotes unless we have a wedding dress red wine stain challenge that seems to be an obvious challenge such as aged red wine staining situations. We also do not create testing quotes for all dresses, however, it is used in rare red wine staining situations. 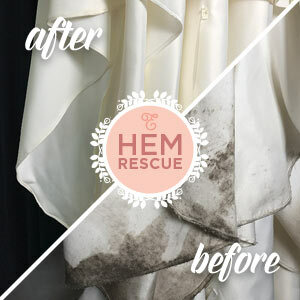 Our goal is always to do our best with our brides to try and communicate the expected outcome in advance of the cleaning. 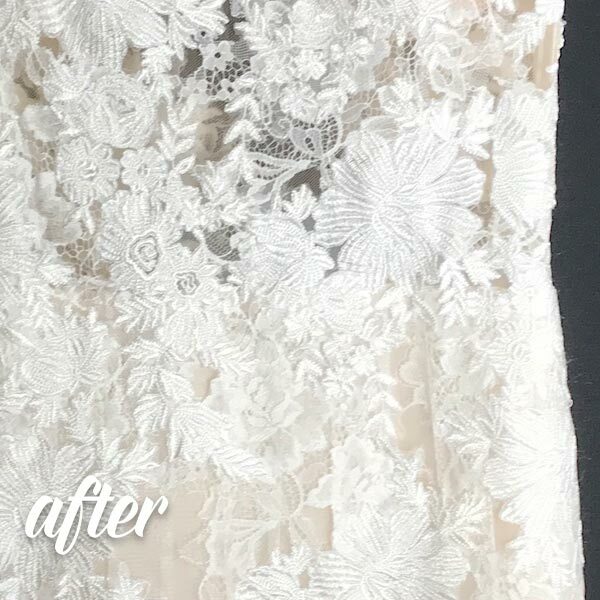 The dress came out very well and it was an exciting dress to work on. We are always up for a challenge!